I recently re-discovered my love for architecture. Working with an architectural firm gave us some fascinating insights into key concepts of architectural design processes. Also, I incorporated the story of the Watercube for the Chinese Olympic Games into some keynotes for client events. 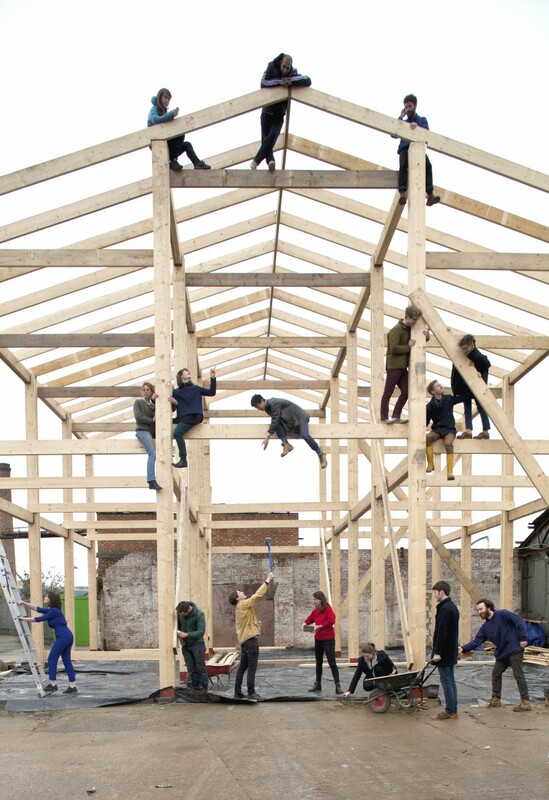 Now I have come across another source for inspiration: Assemble, Winner of the 2015 Turner Prize. 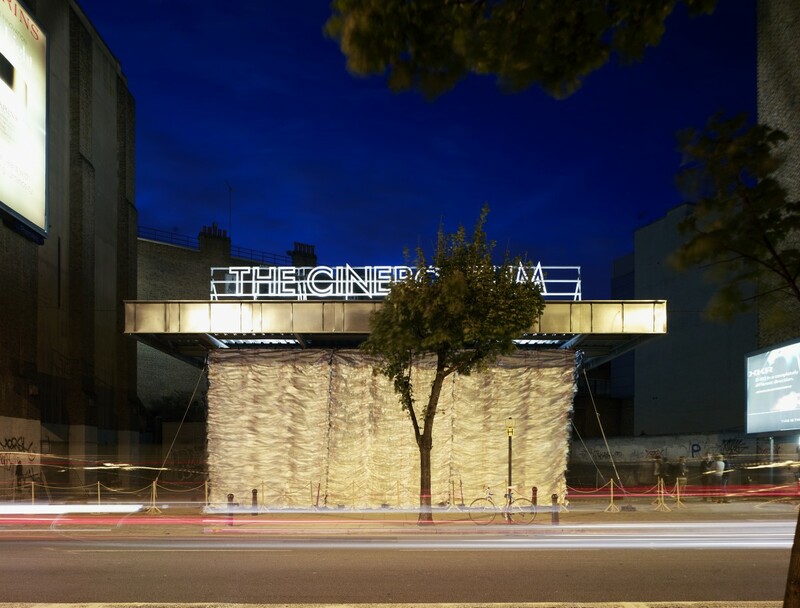 The young makers of Assemble seem to have it all - disrupting architectural work, disrupting art prizes and creating a new form of a firm. Assemble is a group of about fifteen young people, all under thirty years old, friends who mostly met while studying architecture at Cambridge. They quit their final requisite practical experience at traditional firms to obtain the official title of licensed architect in the U.K. feeling distanced from the people using what they build. Rather, they felt an urge to build something meaningful instead of mainly sitting behind a screen at a desk. Think about what this tells us about the unmet needs of our new talents! Here are two portraits of them, one by Tate Shots and another one by the German TV magazine "Titel, Thesen, Temperamente". Watch these videos and you will have a first impression of what powerful projects they make and what made them win such an esteemed, albeit controversial, prize as the Turner prize. But how did it all start and what made them become who they are today? So instead of pursuing the trodden career paths, they began engaging conversations and started meeting in homes and pubs to discuss how they could make meaningful work collaboratively. Finally, after months, these conversations grew into their first project. 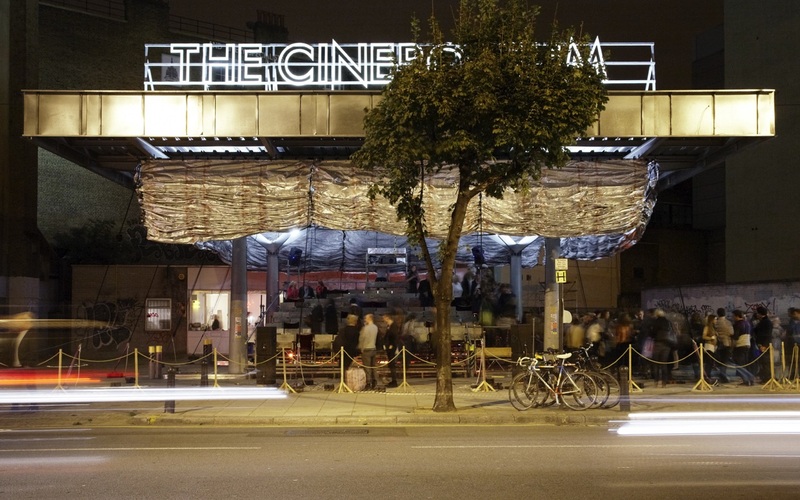 Turning an abandoned petrol station into a temporary cinema, The Cineroleum was born. The next project dealt again with transforming a dark spot into a shining new public space. 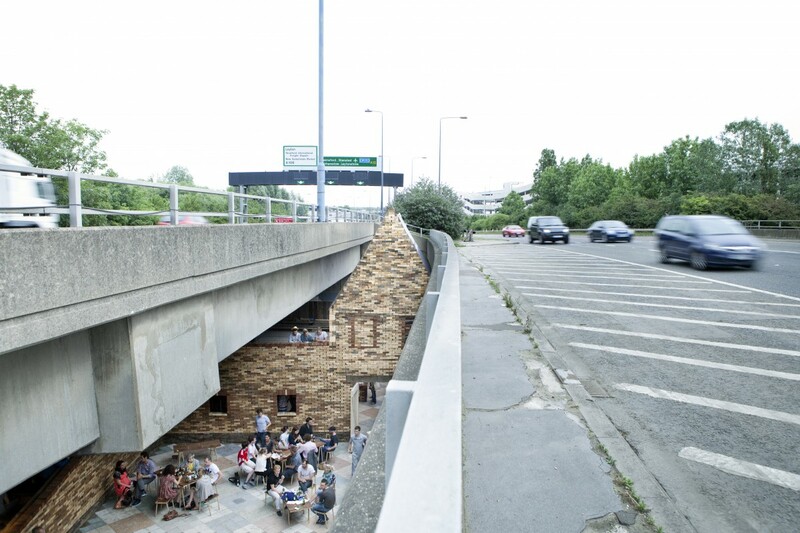 With Folly for a Flyover, Assemble transformed a disused part of a motorway into an arts venue. Over a period of nine weeks, 40,000 local residents, artists and visitors from all over London came to watch and eat, and to get involved with workshops, talks, performance and theatre. Lewis Jones (also at Turner Prize-winning UEL Lecturers discuss Assemble's work at Open Jury '16 - if not indicated otherwise, I quote him and Adam Willis from this presentation) describes the growth of their organization as a gradual transformation from an occasional thing to a daily thing. Pointing out that this process was heavily facilitated by having a shared space. The groups’ ideas gained momentum. Building their own studio space then became a project in itself. Assemble built Sugarhouse Studios (see top photo of this post) at a former sign maker's workshop place in East London. They offer space for offices, workshops often shared with others, e.g. furniture makers. Being friends make it also a social space for parties, dinners sometimes. They cook lunch every day. Whoever joins the meals more often also cooks more often. What helped them setting up a firm - from an entrepreneurial point of view - was the commission to revive the New Addington Central Parade in Croydon in 2011. This project required turning a car park into a public market square. Part of the project was a week-long series of events prototyping what the changes of the town square could be. Assemble's mindset allowed them to deal with unexpected uses by inviting these activities and giving them greater visibility. Self-critically though, they concede that this project also taught them the lesson to involve the communities much more, respectively earlier, at the critical early stages so they can take ownership of the projects and the spaces (Lewis Jones at Turner Prize-winning UEL Lecturers discuss Assemble's work at Open Jury '16). We are interested in how people can take ownership of public space, how they can understand how things are put together, through learning through making. The CLT were already doing that, and we just brought our skills and ideas into the wider effort. Only with this dialogical and humble spirit did they succeed at Granby the way they did. 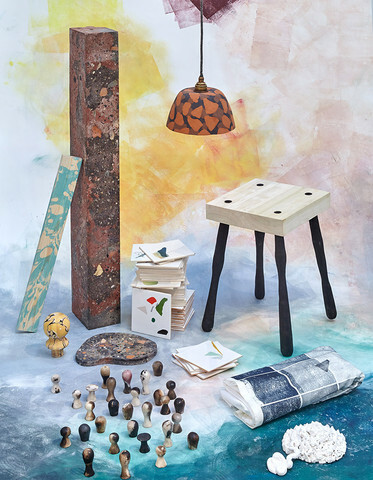 Assemble are the only ones who have ever sat and listened to the residents, and then translated their vision into drawings and models, and now into reality. They realised their ideas for the houses in a way which is practical, which can be done on the streets which can be done by the community, can be done in a small space, and which can produce something beautiful. With this project, they won the Turner Price in 2015. Common to almost all of our projects has been an idea of making. We tend to value process as equally important part as the final product or final result. We feel there is a kind of open-endedness that is to be valued over the aesthetic resolution of a project. We are interested in these kind of ideas of potential, and chance, ideas about developing infrastructure or methods which allow other things to other things to continue to happen rather than resolve everything in one go. Designing public places that would draw people together for a limited amount of time. Collaborative approaches to building places with others. Programming events and dinners, activating things before anything has happened, instigate a character in a new place. Hereby they engage in activities and conversation in an ongoing way. And recently, more and more long-term projects, where alongside the design or material, and physical aspects they get involved with conversations of how places are run. Principles of operating and what kind of organizations can provide for what kind of activities. This involved setting up independent companies and organizations, like e.g. the Blackhorse workshop. They consciously use their multidisciplinary backgrounds and multi-professional broad networks as a resource for variety and multiple frames of references. They have a horizontal approach both within their own organization as well as with their "users". They cherish conversation and process over a "final" outcome thus stressing resourcefulness of the creative experience as a continuous source for competence development on both sides - themselves and the people they work for or with. 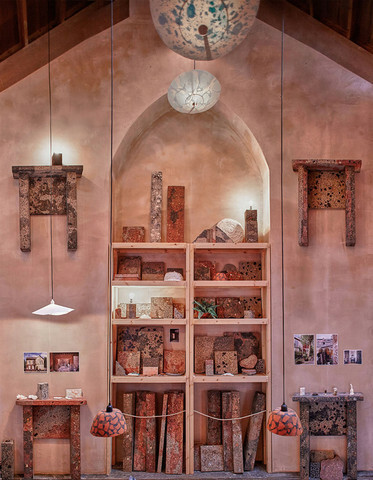 Besides their long-term perspective on the sustainable social impact of their work, they also relate to environmental aspects by preferably (re-)using local material. They are extraordinarily fluid in their social organization: with respect to their number of members, their working frame (many of them working full time in other jobs), their conscious role shifting in projects. 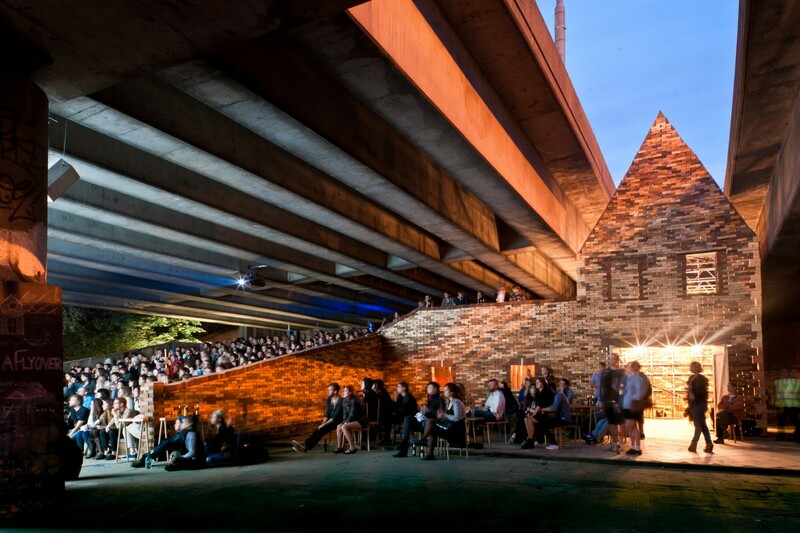 Instead of speaking with "one voice" they engage in "a multitude of conversations" (Jane Hall in an interview with her and Lewis Jones at the Canadian Centre for Architecture in a series on The Other Architect). Having a lot of space let us work in a very free way. A lots of experimenting, lots of testing, often with a starting point of not knowing that much about the process or material. We found that this „curiosity of the amateur“ has lead to quite a lot of interesting and unexpected results. In a certain sense the skill is in knowing how to test things well rather than knowing everything about the material and process and the material, because then you have preconceptions about what should be achieved and what can be achieved. If the future of work is to playfully experiment and collaborate as they do and to work with new talents as they are, it will be powerful and bright. 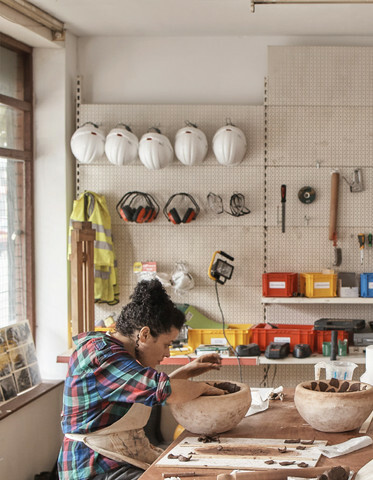 Thanks to Assemble and Granby Workshop for providing photo material for this blog post.